Door-through-door transportation differs from curb-to-curb transportation because it involves entering the patient’s home and helping them get to the vehicle for transportation. This may be necessary for someone who is bed-ridden and requires stretcher transportation, or for someone who just needs a little extra help getting out of the house safely. There are many different reasons why door-through-door transportation may be beneficial to a patient. Curb-to-curb transportation is offered by taxi cab services, public transit systems, and several other forms of transportation. A patient must be able to get out of their home and out to the curb or driveway for pickup for this method to work. Physical assistance: Help to those who cannot physically get out of their bed or home without assistance, either by pushing their wheelchair or carrying them out on a stretcher, or simply offering a helping hand on the way out the door. Help to and from: Door-through-door transportation offers help getting people out of their homes, into their scheduled appointment or social engagement, and then back out and into their home once again. You can pay an extra fee to have the driver and team wait on site so that transportation is readily available the moment it is needed, and you never have to wait. A chance to build a stronger relationship: Get to know the driver and team on a more personal level. Rest assured, we treat everyone like a member of our extended family. Assistance for all mobility types: it doesn’t matter what your physical mobility is, door-through-door-transportation can help make traveling so much easier and more comfortable, as well as less stressful. A hand after chemo, dialysis or other treatment: Perhaps you need door-through-door service due to a recent procedure or treatment that leaves you feeling weaker than usual. You can prevent getting injured coming and going from your home by enlisting help from the professionals. Does Door-Through-Door Transportation Cost More? It all depends on the specific needs of the patient and how many drivers are required to safely move them in and out of the vehicle. Stretcher transportation costs should already include door-through-door transportation in the price, as it is expected the patient will require additional help getting in and out of their home. Does Public Transportation Offer Door-through-door transportation? In most cases, public transportation services are not equipped to offer door-through-door transportation. If this is something you or your loved one needs, it is highly recommended to call out the experts who understand how to safety transport patients with limited mobility and special needs. Door-through-door transportation is a common service for bariatric patients who are not able to get out of the house on their own. 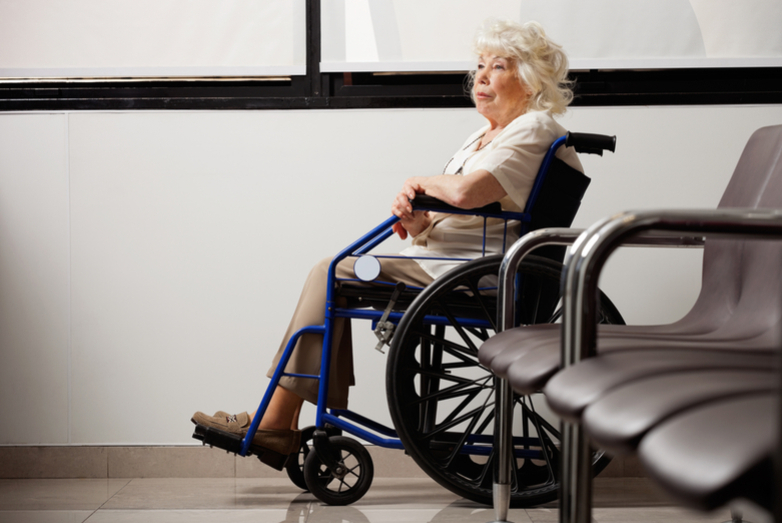 A specialty stretcher or wheelchair can be used to accommodate bariatric patients. It’s important to inform the drivers ahead of time of the patient’s weight so that they come prepared with the right equipment and number of hands to take care of the task in the safest and most comfortable way possible for the patient. If you live in the Melbourne, FL area, Stellar Transportation specializes in door-through-door transportation for patients who are bed-ridden, depend on a stretcher or wheelchair, or are considered bariatric. From top of the line vehicles, to compassionate and knowledgeable staff, we work hard to provide the highest level of service and guarantee we don’t take any short cuts. By admin| 2019-04-10T22:32:10+00:00 April 12th, 2019|Blog|Comments Off on What is Door-Through-Door Transportation?